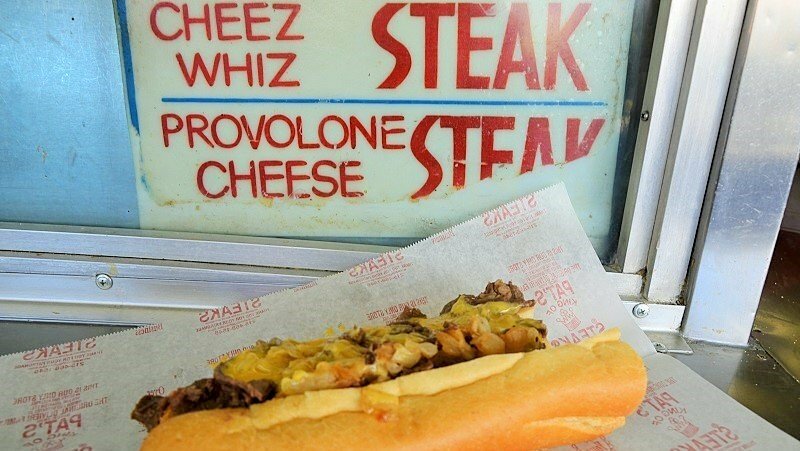 What exactly is a cheesesteak? 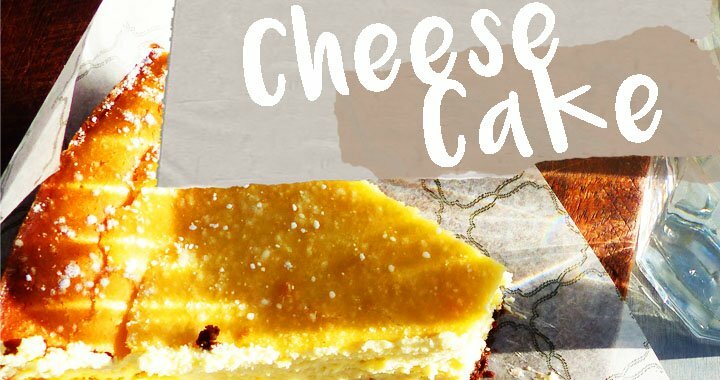 It sounds like there would be a whole lot of processed cheese on a big fat steak. Someone else said it sounded like fried cheese. It is neither, my friends. 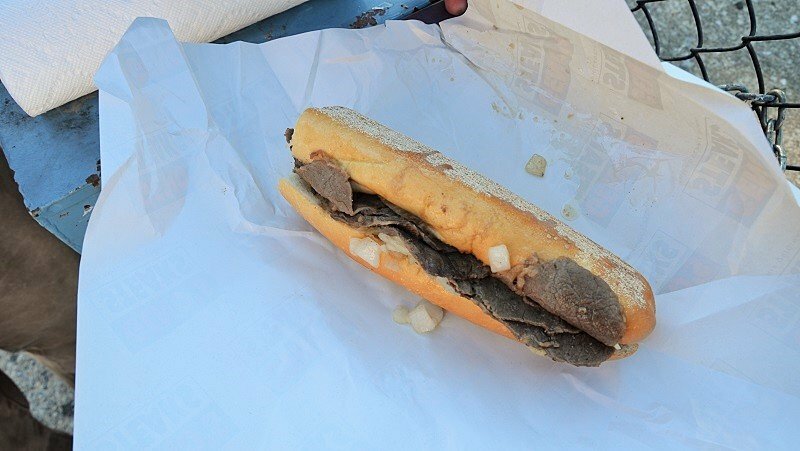 What it is is a sandwich filled with slices of beef, topped with onions and your choice of cheese, which include whiz, provolone and American. 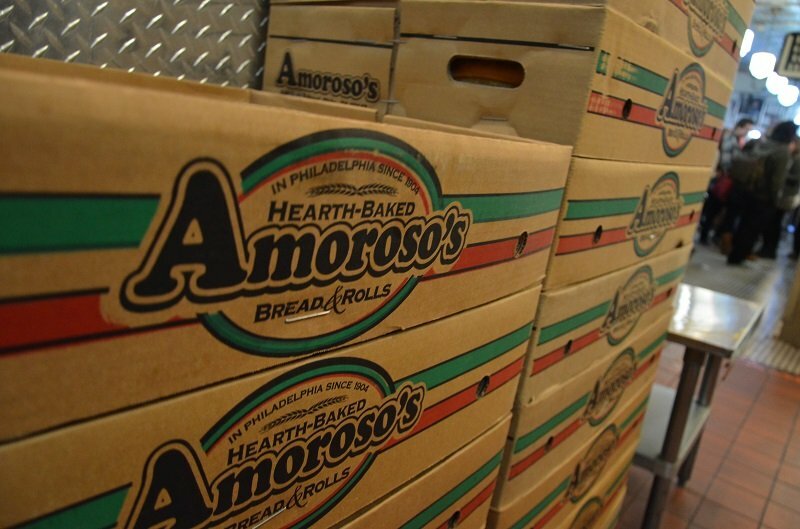 I The bread absolutely has to be Amoroso’s. 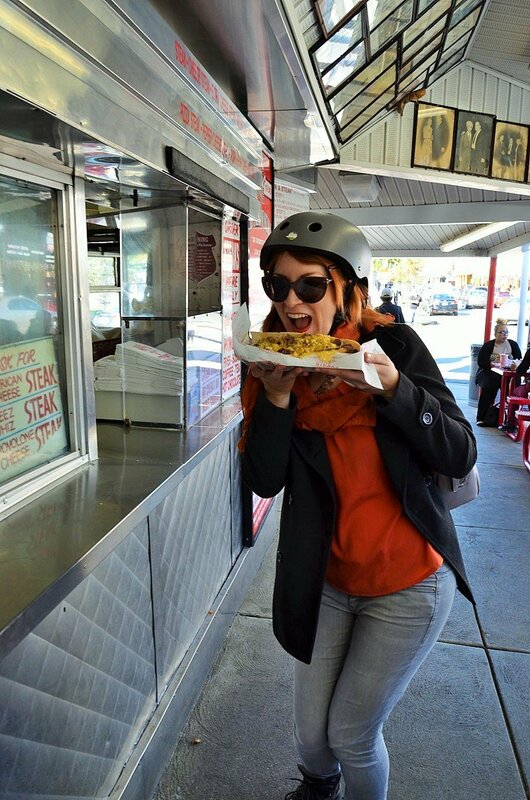 And as always, a proper cheesesteak can only be had in its city of origin and so I teamed up with Philly on Segway and let me show around the food havens of the city, but most importantly, get me to try a decent cheesesteak. Five times. 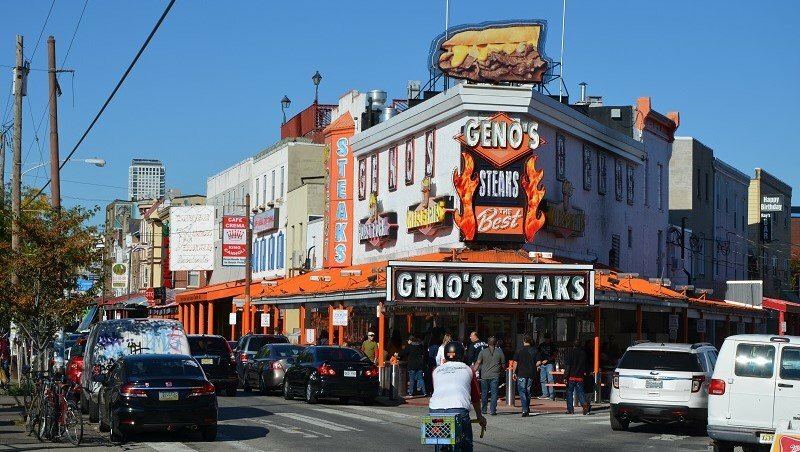 When talking about the cheesesteaks (let’s see how many times I can write the word cheesesteak in this post), two names are of importance: Pat and Geno. These two are rivals for the best cheesesteak (although not my absolute favourites) an started the whole thing. Once originally a family business, the two brothers soon fell apart and were fighting over the reign of the cheesesteak king. ay. If you ask me, my personal preference among the two is the very first shop, the one that is less flashy. But I still had three more variations on the original to try and my belly was already full. 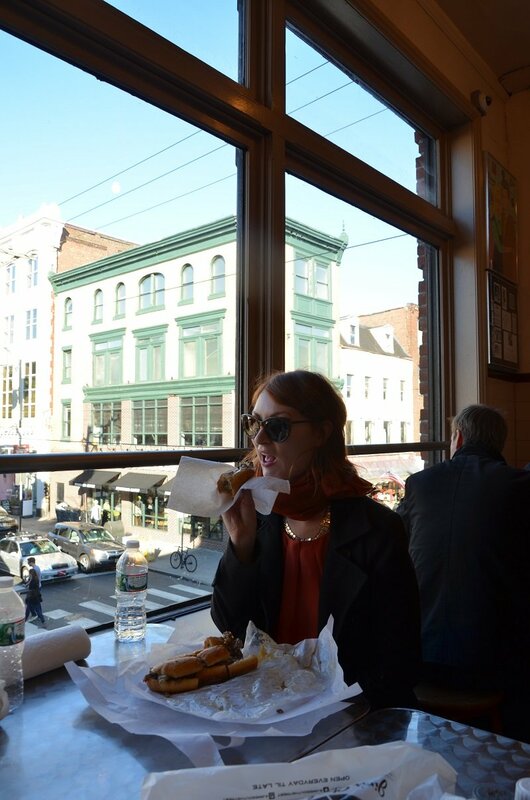 See this as a warning: don’t eat half a cheesesteak if you have a couple more to go. They seriously fill you up big time. A walk or two would have helped me digest quicker but I became full so quickly, rolligna round seemed like a good option. 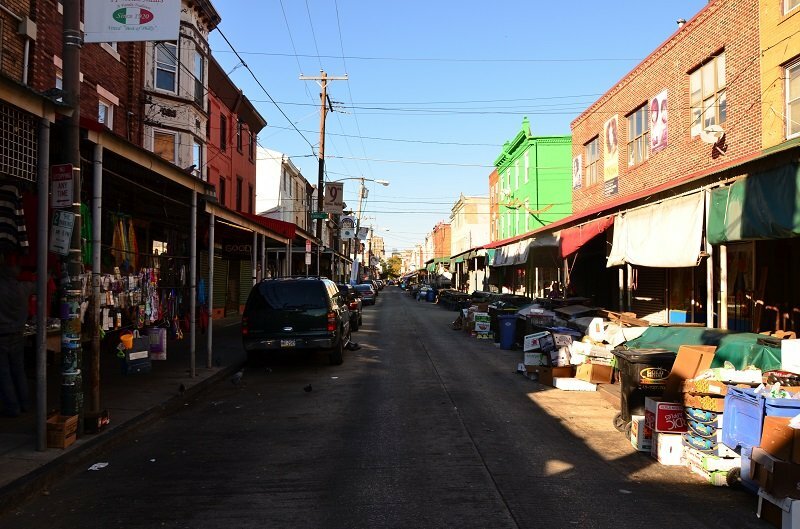 As we were segwaying through southern Philly, I was introduced to its colourful past and beautiful old houses. 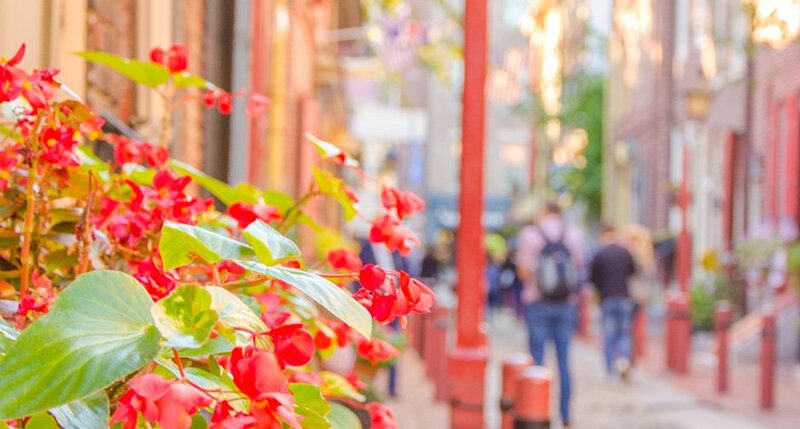 Did you know that Philadelphia was originally designed to have super broad streets to prevent fires from spreading easily has had been the case in London at that time. However, soon people started selling space in their backyards and paved new tiny streets, which kinda defeated the whole city planning. Luckily, there never was a big fire. When you’re walking among the colonial houses, keep a look out for small metal constructions on some second floor (American second floor) windows. 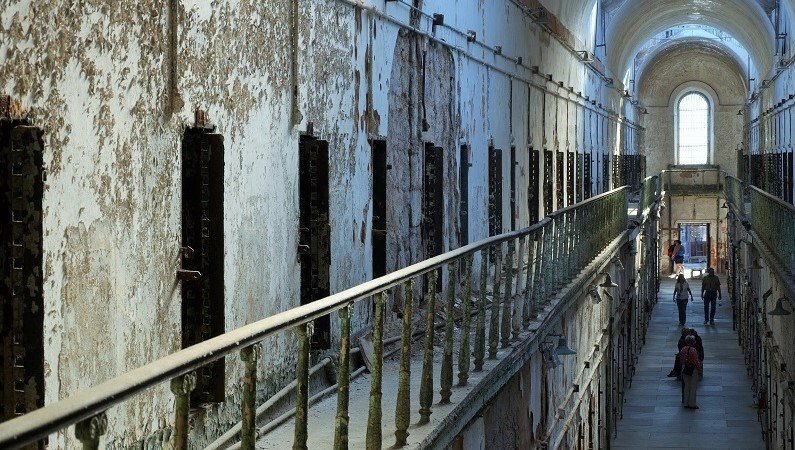 These are busy bodies that were invented by Benjamin Franklin to serve as a house spy for those not wanting to go all the way down the stairs to ask who’s there. Since we were on a foodie tour, I was also shown around the Italian market, a major hotspot for delicious cuisine and fresh produce. To let my eyes feast as well, we had a quick stop at the Magic Gardens, a famous art project by the local artist Isaiah Zagar, who decorates house front and walls with mosaic murals. Most of them are from glass as well as bottles and other things that integrate the audience by functioning as mirrors and ultimately belong to folk art. (I didn’t even know about this type of art). My tummy had had a little rest by now and we made our way to the next stop, which would be my favourite. 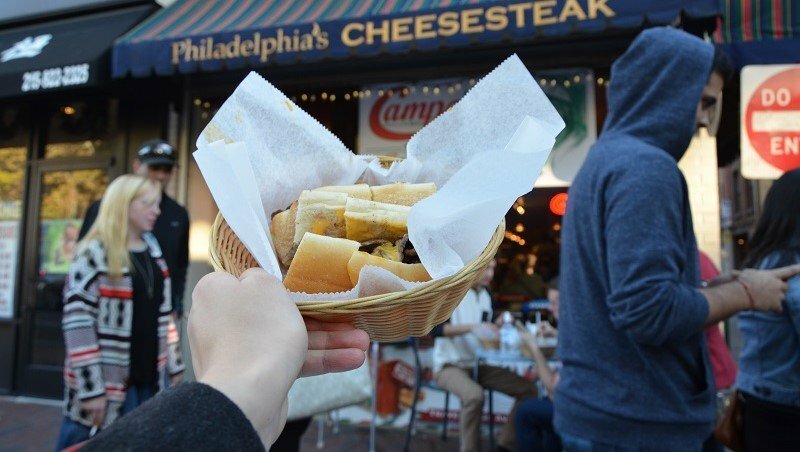 Jim’s was located right between the original shops and the new ones on busy Market Street and after you have finally made it to the front of the queue and ordered your cheesesteak, be sure to wind your way to the back of the house and up the stairs. This restaurant has a second level seating area from which you can watch the live on the streets while enjoying your meal in peace. When I was there, there was no fighting for seats either. 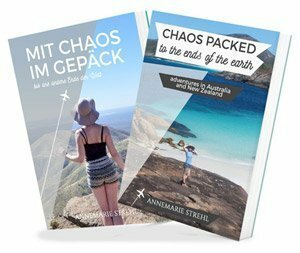 Now I had nearly reached my saturating but I still needed to sample two more. So off we meandered to the main street with yet another two closely located shops, those of Sonny and Campo. While the first one had amazing style with its typography, the latter offered a holy lunch combo in reference to the Pope’s visit, plus it served its cheesesteaks cut and prepped in basked. Both get thumbs up for presentation and both taste similar. 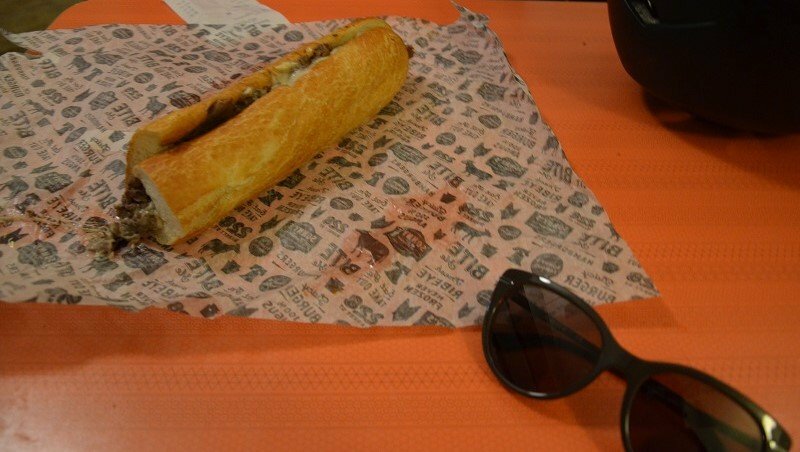 Are you now craving cheesesteaks as well? Would you dare eat as many as I did? Shoot me a comment telling me about your foodie opinions. 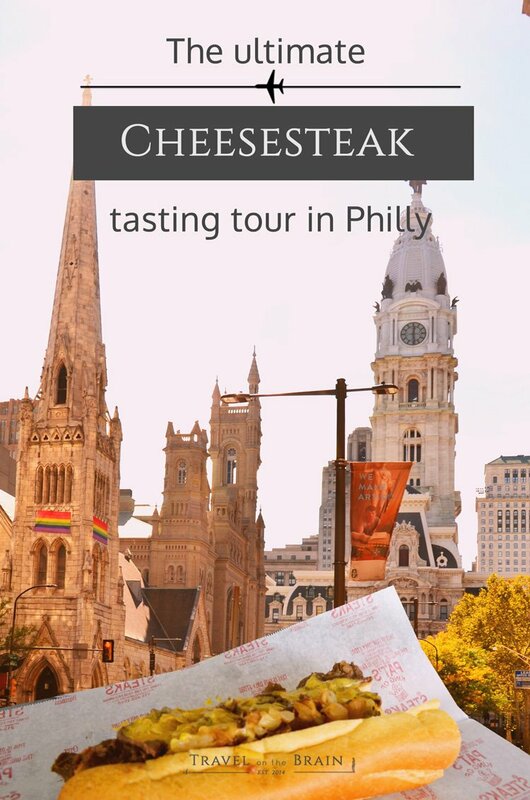 My big thanks to Philly on Segway for showing me the cheesy heart of Philadelphia and making this tour possible.